I would like to thank Joseph from Jomo Audio for providing me with a review sample in exchange for my honest opinion. Jomo Audio has swiftly started to depart from the label ‘startup’, to established manufacturer. Following the worldwide success of the Jomo 6R as a viable alternative for a reference monitor, it’s time for the next step: a flagship competing with iems at the highest level. The story of Jomo is becoming common knowledge: Joseph Mou is another hobbyist gone pro, next in the line in a tradition of manufacturers as Custom Art or Lime Ears. Jomo is located in Singapore, one of the Mecca’s for high-end audio. The competition might be fierce, there seems to be enough to go around there for everyone, making it a fruitful birthing place for young companies. The link with Effect Audio, a cable manufacturer from Singapore, is easily made – two upcoming companies form Singapore, swiftly making their mark. 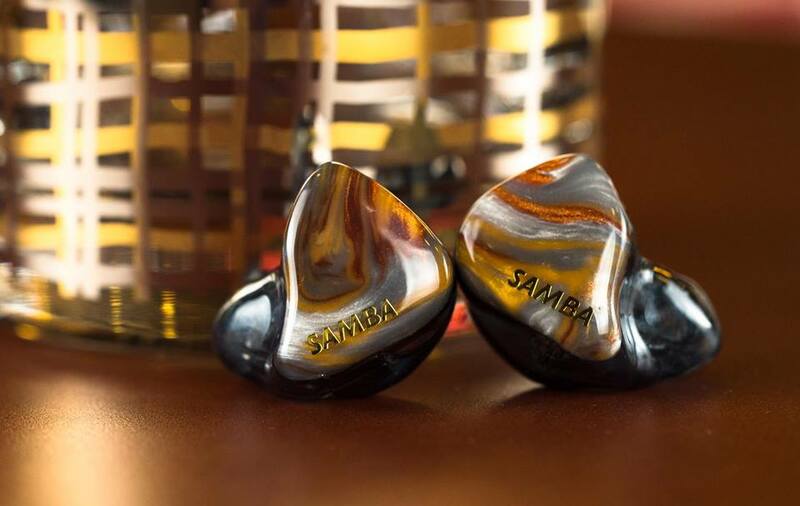 After having previously collaborated on making a limited edition ‘Genesis’ ciem, the two partner up again for a more permanent agreement. Jomo’s new flagship Samba is not only delivered with a quality upgrade cable from Effect Audio, the Ares II, the internal wiring also consists of the same wire. Samba is delivered in a standard Peli case. Besides the mandatory cleaning tool, Jomo goes the extra mile with a 6.3mm and airline adaptor, as well as a clip to attach the peli case to a bag or jacket. It further comes with a very nice dark metal warranty card with ‘Jomo’ cut out diagonally; a classy touch of personalization. 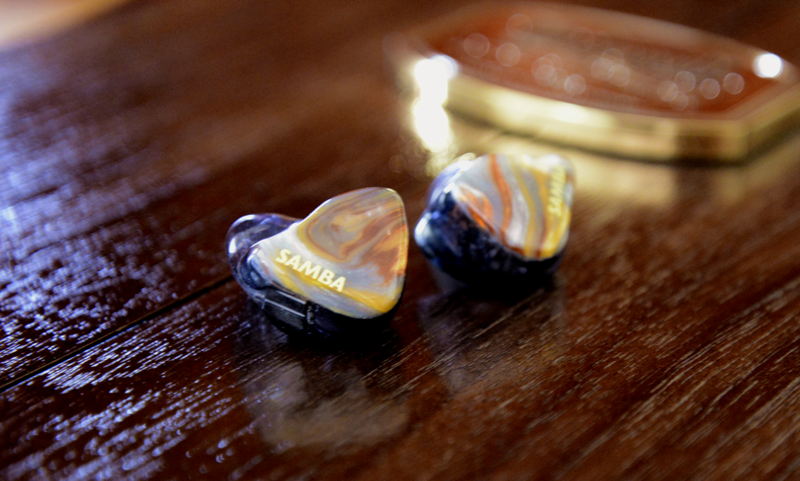 All in all, the Samba comes with a nice set of accessories that gets some bonus points for the extra effort. But the highlight of the accessory pack is undoubtedly the Ares II cable. More companies are starting to include a quality cables as stock, a development I can only applaud and encourage. Recent examples are the Westone W80, Campfire’s Andromeda or the Rhapsodio Galaxy. The Samba’s stock cable is a quality upgrade cable from Effect Audio, a 26 AWG copper Litz cable which sells separately for $150. The cable is beautifully built; copper cables often have an orange-pinkish color that I just can’t grow fond of, but the Ares has a more rustic brown that gives it a more classic look. The fine plastic shielding displays the Litz wires, where you can see how every wire consists of multiple individual strands. The cable is finished with nice components that give it a qualitative feel: a silver-plated jack with black and gray carbon finish, silver 2-pin connectors with the Effect logo, and a silver and black carbon splitter that is slightly on the heavier side. Personally, I wouldn’t have minded if it was a bit smaller to spare some weight, but it looks good. You can feel a slight pull, but it’s not overly bothersome. To get an impression of the Ares II, I tested it separately with some other iems such as Zeus-XIV, S-EM9 and Aether. Copper cables are usually characterizes as warm, primarily due to an enhanced mid-bass that gives warmth to the presentation, but can also reduce the airiness or cleanliness of the stage due to the warm air. The Ares II departs from that, sharing more characteristics with a classic SPC signature (though this is a generalization). It provides a clean and controlled bass response, with good balance between sub- and mid-bass, while not being overly warm. The midrange is relatively uncolored, but also slightly dry, as it doesn’t provide an overly warm or lush sound. The cable leans towards an open tone. The focus is more on providing a relatively neutral and clear sound, with good articulation and definition of individual instruments. 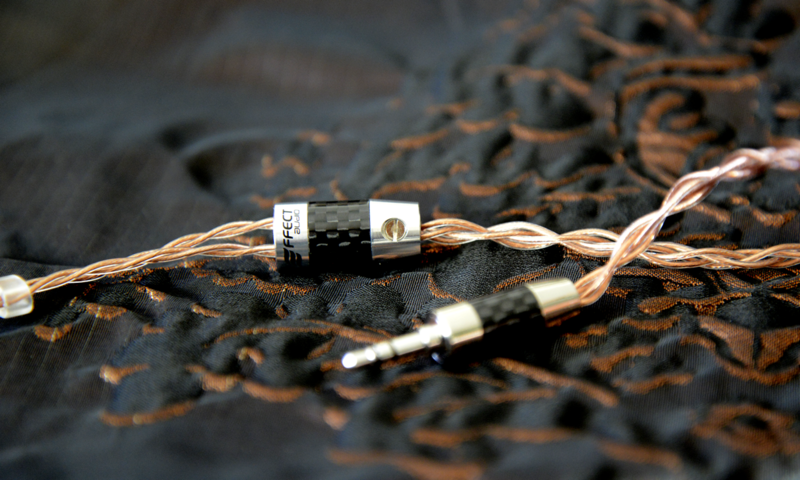 Compared to a stock 3-wire OFC cable, it provides a cleaner stage with better treble extension. Taken together, the sound is primarily flat and uncolored, and offers a clean stage with good precision. With its 8 drivers, Jomo manages to keep the Samba quite compact. In overall size, it falls somewhere around the average, being neither or large. Insertion depth is also around average, and the fit is snug. The craftsmanship is above average; the shells are smooth, and lack any noticeable bubbles. Jomo offers a wide variety of shell options and faceplates, including some unique materials and designs that I haven’t seen before with other companies. It’s worth taking a look through, there’s undoubtedly something nice for everyone. I gave Joseph a few pointers for the design, but let him do his thing. The result is a gray shell, matched with a stylish swirl of grey and brown tones as faceplate, with ‘Samba’ printed in gold letters along the side. The finish not only looks beautiful, but feels nice and smooth. Thanks for the detailed review. I’m considering this along with the Ando and Zeus-R but prices wise, might settle for Andro but I would probably love the sub-bass of the Samba. Thanks, honestly all three are excellent options. Andro is allround and engaging, Samba is quick and accurate, and Zeus-R is a smooth variation of a neutral tuning.